Kazan and his Grandpa are on a journey! 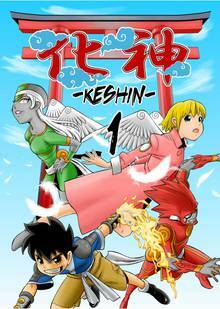 Kazan inherited his Keshin, Enma, from his grandfather Iwan and is determined to rid the world of all evil Keshin users. The evil group Aguru, was just that. They're collecting Keshin in order to take over the world, and Kazan is determined to stop it! Watch him collect friends along his way to defeat Aguru!